You may recall that over dinner a few weeks ago, Reuben told me about the Mission Community Market, a brand-new farmers market in the heart of the Mission, run by his friend Jeremy Shaw. Obviously, I wasted no time insisting that Reuben introduce me to the genius who decided to fill the gaping void in the food-and-community-minded Mission, and so this morning Jeremy and I had breakfast together at Cafe Que Tal, just blocks from 22nd and Bartlett Streets, where the Market happens every Thursday from 4-8 PM. Jeremy is the kind of visionary anyone would be thrilled to have heading their organization: thoughtful and kind, with a serious urban planning background. He told me about the incredible variety of vendors at the Market, many of whom are affiliated with SF nonprofit La Cocina, as well as the Market’s commitment to making the Market a place not only for great food, but also for community and culture. So far they’ve had live music, Capoeira, four-square (the real chalk-drawn, bouncy-ball kind), and a collaborative youth mural…with a whole lot more on the horizon. As a Mission resident of 4 1/2 years, I can’t tell you how happy I am to have this amazing resource nearby, not only because of the fabulous produce, etc, but because of the sense of community it fosters. 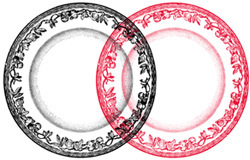 The Mission is a mash-up of young families, life-long residents, hipsters, English and Spanish speakers—all different kinds of people, but the need for community (not to mention food) is as universal as it gets. The Mission Community Market (a.k.a. 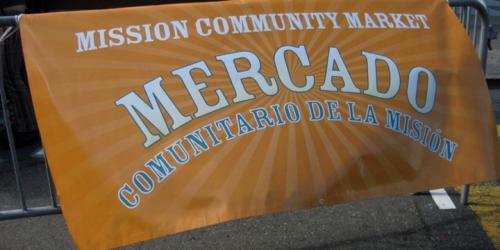 The Mission Mercado) is every Thursday from 4-8 PM at the corner of 22nd and Bartlett Streets.